Microsoft Excel is a powerful tool. I think I can say it excels in many areas, but... can it be used for database modeling? Yes and No. 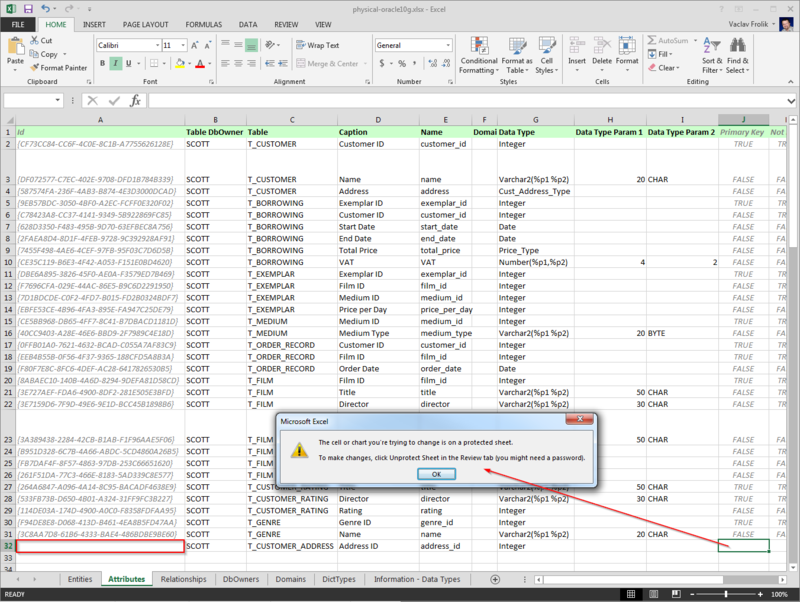 As you probably know, Toad Data Modeler introduced support for import and export to Microsoft Excel in version 5.2 Kevin described the feature nicely in his blog article. Let me give you more information about the functionality. The key requirement from our users was as simple as "Let me define comments in Excel". 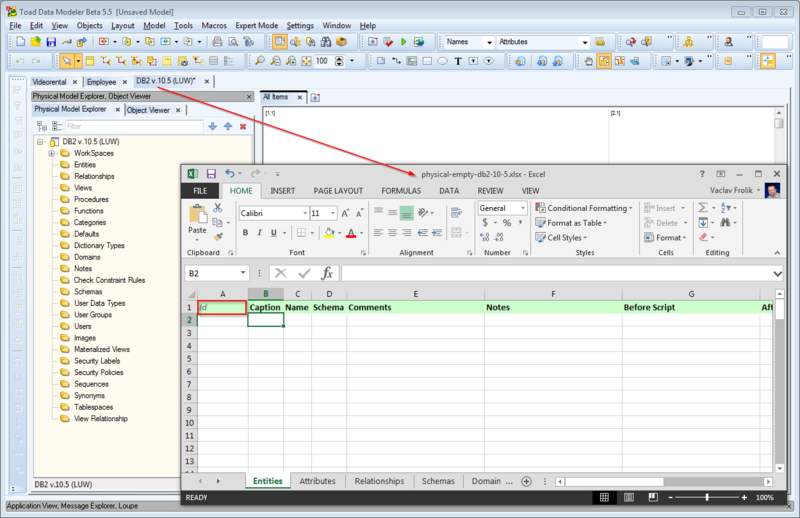 Nowadays, Microsoft Excel seems be used for other scenarios and use cases, for example for model updates and creation of new tables. Export and import can be used across models, but always for the same target database. That means, it is possible to export model for Oracle 10g and import the excel file to another Oracle 10g model. What should be avoided is Export from Oracle and Import to MySQL etc. 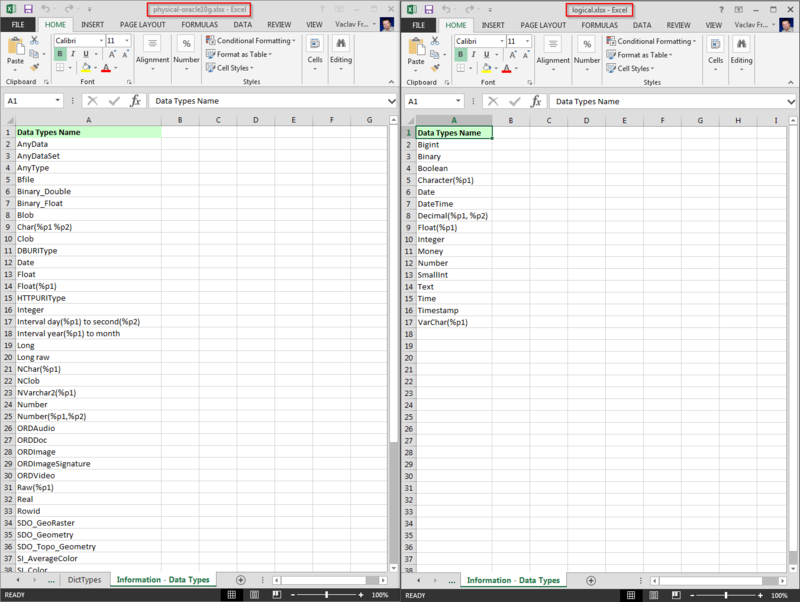 See below a comparison of two excel files. One was created from physical model, the other from logical. 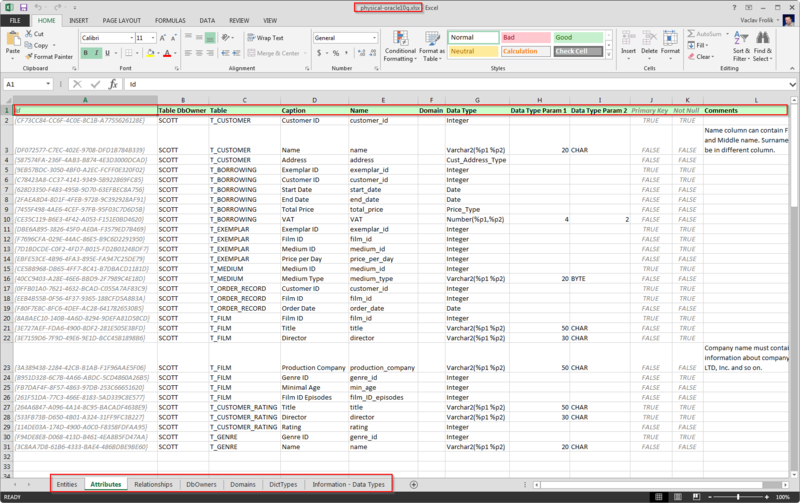 On sheets Information - Data types you can find values that can be used in the same excel file on sheet Attributes. If you try to use some non-supported data type, e.g. Clob is available in physical model and not logical, then import of the file to logical model will fail. 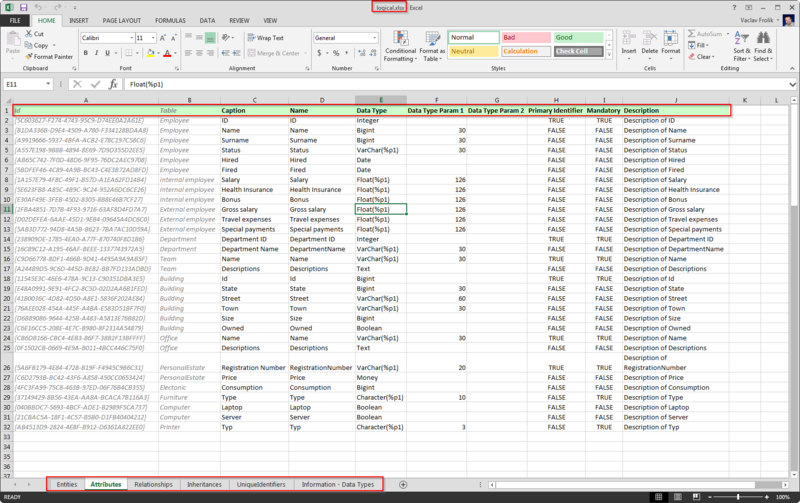 Recommendation: use only data types that you see on sheet Information - Data Types. In the excel file you can find various cell values in gray font color. Such items are locked and should not be modified. The locked cells should not be modified, however you can easily unlock the sheet and for example deletethe ID values. That is OK in case you wish to create new objects (for such scenario ID must be empty). a list of object types and properties that can be defined in excel.